Valley View Barn in Bradbourne, near Ashbourne, Derbyshire sleeps 14 people. 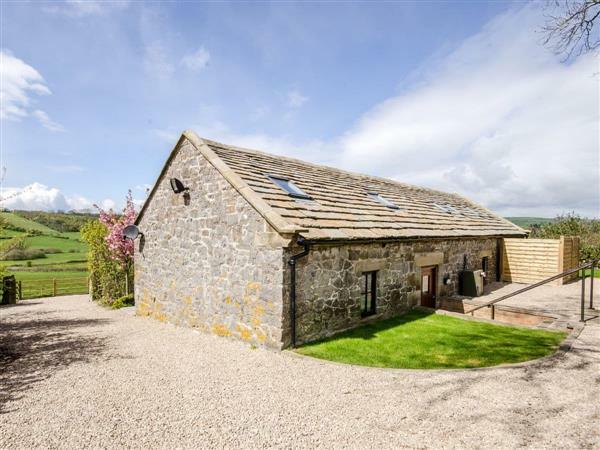 Valley View Barn near Ashbourne is a fabulous large barn conversion, nestled on the edge of the gorgeous Peak District National Park, which offers beautiful scenery on the doorstep as well as several excellent pubs and restaurants nearby. Its thoughtfully decorated interior and comfy seating area make it the perfect get away for groups, families and friends looking for that ideal retreat. 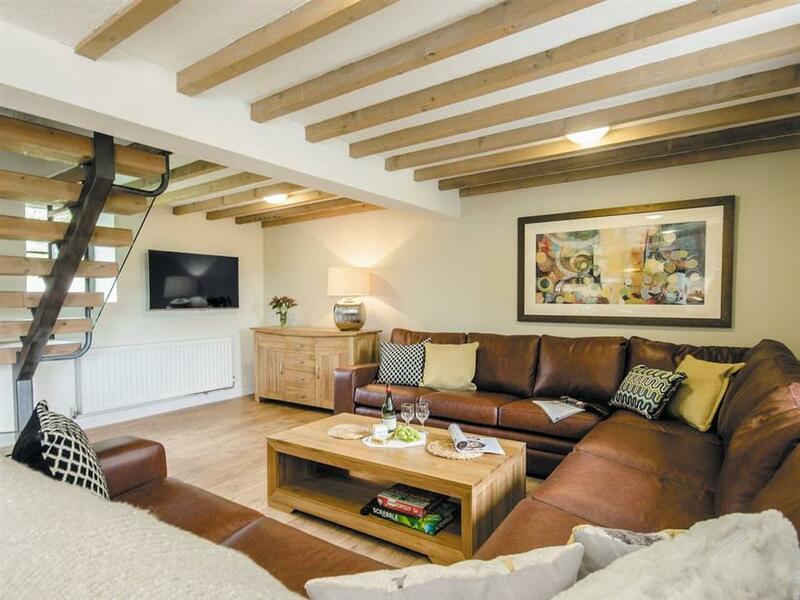 Beautifully furnished to provide spacious accommodation, Valley View Barn has fabulous features, with oak beams, stone walls and a wonderful open plan living area. You will find an abundance of walks from the door of this detached barn, as well as a fabulous selection of pretty villages, market towns and visitor attractions. Take a drive to nearby Ashbourne, visit Carsington Water, or even spend a day at Alton Towers. Dovedale and Ilam Estate are only a 5-minute drive from the property and they offer guests the chance to walk around stunning countryside, explore caves, limestone hillsides and stroll alongside the River Dove to reach Milldale. The cottage is located on the Tissington Trail and makes it perfectly situated to cycle directly on your doorstep and take in the breathtaking scenery around the cottage! The property even has a bike store on-site, that holds up to 14 bikes, making it perfect for you bringing your bikes along with you. Chatsworth Estate, Haddon Hall and Bakewell are only a 25-minute drive from Valley View Barn and therefore the location is the perfect place to explore the Peak National Park. Located half a mile from Bradbourne, the village stands high on a ridge between the valleys of Bradbourne Brook and Havenhill. Just a few miles up the road, the famous Peaks village of Tissington makes a wonderful afternoon out. Famous for its hand crafted, clay paintings, Tissington invites everyone to come along and soak up the atmosphere of this pretty village, complete with duck pond, church, tea rooms and an impressive old hall. The market town of Ashbourne has all the amenities you may require, as well as a variety of walks, climbing opportunities and cycle routes. After a busy day exploring what better place to relax in than the beautiful Valley View Barn? The shop, pub and restaurant are all 2 miles from Valley View Barn near Ashbourne. Living area: With Freesat TV and wooden floor. Bedroom 2: With zip and link 2ft 6in twin beds (can be king-size on request). Bedroom 3: With zip and link 2ft 6in twin beds (can be king-size on request). First Floor: Bedroom 4: With zip and link king-size bed (can be 2ft 6in twin beds on request) and en-suite with shower cubicle and toilet. Bedroom 6: With double bed and en-suite with shower cubicle and toilet. Bedroom 7: With zip and link 2ft 6in twin beds (can be king-size on request) and en-suite with shower cubicle and toilet. Oil central heating, electricity, bed linen, towels and Wi-Fi included. Welcome pack. Large lawned courtyard with patio, garden furniture and barbeque. Hot tub for 8 (private). Bike store. Private parking for 6 cars. No smoking. Holidays at Valley View Barn run from Friday to Friday. For a better idea of where Valley View Barn is, you can see Valley View Barn on the map below. Valley View Barn is in Derbyshire; should you be on the lookout for a special offer, you can find all the special offers in Derbyshire. It's always worth checking to see what is on offer at the moment. Do you want to holiday near Valley View Barn (UK4084), you can see other cottages within 25 miles of Valley View Barn; have a look to find your perfect holiday location.